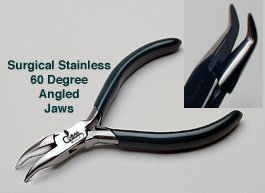 CoBra Marine JAWS Fishing Pliers with 60 Degree Angled Tip. Solid Surgical Stainless Steel, Full Box Joint Construction and Coated Slip Proof Grips. Browse The Fishing, Anglers & Outdoor Tools Catalog For Our Complete Line, Here Are A Few Related Items.